Home / Is Kelly Window and Door a National or Local Company? Is Kelly Window and Door a National or Local Company? Kelly Window and Door is a local, family-owned business. Our company was started by Mike Kelly in 1994. 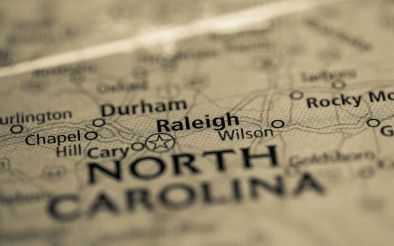 Our offices have been in Cary from day one. We are not part of a national franchise group. Many window companies are. Franchise groups allow window businesses to operate independently, but the businesses are required to sell products from only one manufacturer. We have rejected several offers to join big-name chains because we believe that would hinder our freedom to carry the best products available. By not being tied down to one vendor, we are able to offer our clients vinyl windows from one factory and wood windows from yet another factory. There is no requirement that all our windows have to come from the same manufacturer. The same is true with our doors. Because we believe this way of doing business serves our clients best, we have no plans to sell our company to any national chain. But just because we are not national does not mean that we do not offer many of the benefits of a national chain. Because we are one of North Carolina’s largest window and door companies, we are able to obtain many of the same volume prices that the big chains get. We offer our employees pay and benefits that are well above industry average, which means we are able to attract the best installers, sales consultants, project managers, and internal office staff. These are the folks who keep your project moving smoothly at every step. And because we are a consistently profitable, debt-free business, this means that we will be here for many years in order to service our warranties. Remember, a lifetime warranty means nothing if the company behind it goes belly up. We would love to hear about what you want to achieve with your windows and doors, and then formulate a game plan to get it done. If we sound like the kind of folks you would enjoy working with, please give us a call at 919-461-0010. It will be our pleasure to serve you!